Eben Upton first came up with the idea to create cheap, sophisticated, and easily programmable computers in 2006 so that anyone with a little or no skills could experiment with the system without worrying about making expensive mistakes. The idea was to promote computing and teach basic computer science at educational institutions around the United Kingdom. That idea has now become a global phenomenon. 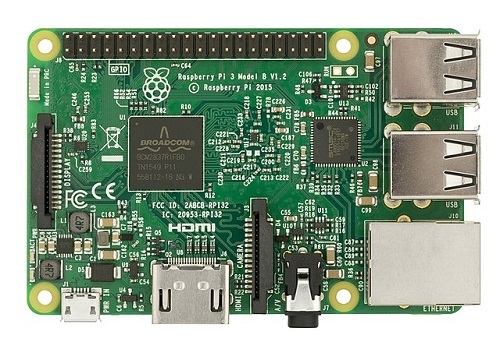 The Raspberry Pi was created in February 2012 and the first shipment of the credit card sized computers became available in April 2012. What started as an idea has now reached far beyond the academic ecosystem, thereby bringing students closer to the modern-day computing. It was developed by the UK-based charity Raspberry Pi Foundation which was founded upon the idea of making computing easily accessible for people all around the world. It’s the name behind the UK’s best selling PC of all time – the Raspberry Pi. It’s a charitable organization aimed at promoting the teaching of computer science in schools and colleges around the world. And it’s doing that with its series of single-board computers which are capable of almost everything that a home computer does. Plus it’s also capable of playing high-definition videos. This tiny little computer easily plus into your TV and a keyboard, and it uses a Broadcom system on a chip (SoC). 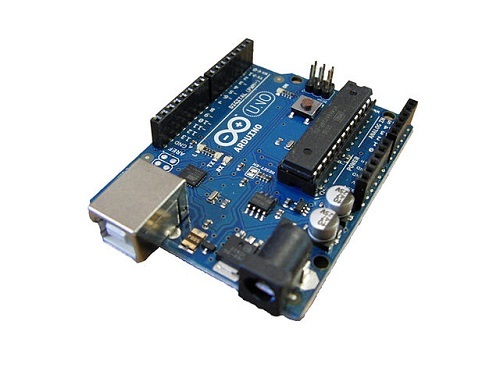 Arduino is basically an open-source microcontroller motherboard which is used for electronic projects. Unlike a Raspberry Pi, it’s a simple computer which runs one program at a time and is designed to accomplish simple repetitive tasks. In plain English, Arduino is a little electronics device that you can program to do things and it’s a popular choice among newbies who are just starting out with electronics. It’s a great tool to transform your ideas into reality. In a broader sense, it’s an open-source prototyping platform which consists of both a microcontroller and IDE (Integrated Development Environment) that runs on your computer and which you can use to control motors and lights, and read sensors. It helps you interact with things in the real world. As it is open-source, the source code and the circuit schematics can be easily modified by electronic enthusiasts and hobbyists alike. It’s ideal for those who wish to create a system without having a keen knowledge of the digital design. Arduino boards can also control electronic valves, alarm sounders, LED’s or lamps, etc. It can be used as a stand-alone device or even connects your projects to the Internet. It makes ambitious projects easily accessible to anyone, plus it can be used to make all sorts of cool stuff like a smartphone-controlled home automation system. Both the Raspberry Pi and the Arduino may look similar in terms of design, but they are in fact very different devices with different purposes on what they can do. – Both the devices are cute little circuit boards which look almost identical and were initially designed to be learning tools, but they are in fact very different from each other. While Raspberry Pi is a full-fledged single board computer that is capable of doing literally all computational tasks like your personal computer, an Arduino is merely a microcontroller motherboard that can run one program at a time. Arduino is just a single component of a computer. – Raspberry Pi is a fully-functional computer that runs an actual operating system in Linux and it has all the functionalities of a computer. It has a dedicated processor, graphics output through HDMI, USB ports, memory, and it connects wirelessly to the Internet. It’s as good as a personal computer. Arduino, on the other hand, is a microcontroller motherboard which is just a single component of the computer. – Raspberry Pi is capable of anything from making a retro gaming console to creating a game server and much more. Arduino is an open source prototyping platform ideal for making DIY electronics projects like home automation system, controlling motors and lights, Internet of Things projects, etc. – Being a fully functional computer, Raspberry Pi is just like a regular computer with USB, storage and video. Arduino, on the other hand, is not a computer so no video, no keyboard or mouse input, no storage, no USB, nothing. It’s just a microcontroller designed to process information the easy way. – Raspberry Pi runs an actual operating system in Linux and is powerful enough to function as a standard PC, whereas an Arduino doesn’t run an operating system. It’s a fully fledged computer that can perform all tasks like a standard personal computer. It’s a microcontroller motherboard which is just a single component of the computer. It’s not an actual computer. It runs an actual operating system in Linux. It does not run an operating system. It has storage and video, USB, keyboard and mouse input just like your personal computer. It has no keyboard and mouse input, no storage and video, nothing. It hails from the United Kingdom. It was born in Italy. It is capable of running multiple programs at once. It runs one program at a time and there’s no interactivity unless created. It’s faster than the Arduino in terms of clock speed. It’s slower than Pi when it comes to clock speed. It’s great for electronic enthusiasts and hobbyists alike. It’s ideal for beginners looking to make cool electronic projects. While both Raspberry Pi and Arduino seem identical in terms of design and functionality, they are quite different from each other. However, when it comes to electronics, each of the learning tool has a story to tell that will teach you something unique and enlighten you on the many pet projects of modern-day computing and digital making. While Raspberry Pi is a fully-functional computer that runs a full form of Linux, Arduino is just a microcontroller but with better flexibility to sync with all types of sensors. Sagar Khillar. "Difference between Raspberry Pi and Arduino." DifferenceBetween.net. December 5, 2018 < http://www.differencebetween.net/technology/difference-between-raspberry-pi-and-arduino/ >.